CARLSBAD, Calif. (June 16, 2016) – For more than 26 years Surftech has been pioneering composite technologies in board design and construction for surfers around the world. Surftech brought its innovation to the sport of paddleboarding through the introduction of the first production prone paddleboards with the Velzy and BARK brands; and the Mickey Munoz Ultra Glide, which has long been considered the original SUP. 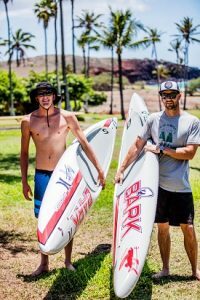 In partnership with the NSP and BARK race lines, Surftech’s signature blend of technology, performance and durability will be the choice for many racers at the 20th anniversary Molokai-2-Oahu Paddleboard World Championships (M2O). New video launched highlighting the paddlers’ experience through the 32-mile open ocean challenge. 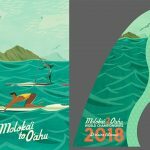 “Molokai-2-Oahu is the most prestigious race in the sport of paddleboarding,” said Rob Farrow vice president of marketing for Surftech. “Covering 32 miles of open ocean, there is no other race that demands such a high level of dedication and training from its athletes and we know the athletes demand quality in their equipment. This is why we value our commitment to the race and its competitors. Surftech boards have crossed the M2O finish line numerous times under the command of many who have won their respective divisions over the years, as well as current and former champions like Jack Bark, Zeb Walsh, Carter Graves and the legendary Jamie Mitchell who owns the unprecedented winning streak of 10 consecutive world championships established between 2002 and 2011. Surftech also is the North American distributor for NSP. Together, the brands have worked closely to develop programs that support the entire sport of paddling. 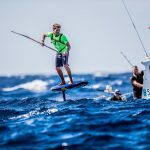 NSP’s DC Ocean Race design was under the feet of Travis Grant when he claimed his second SUP title at M2O in 2015. Nearly 20 years ago, as a small group of surfers stood on the shore of Moloka’i about to attempt the first race to O’ahu, they were armed with stock versions of the traditional or prone paddleboard. SUP was introduced to M2O in 2006, creating the world’s first event to showcase top talent in paddleboarding’s two disciplines. Race founder Mike Takahashi competed in the first M2O and has watched the evolution of the sport over the past two decades. “It’s amazing to see what the men and women are accomplishing today and the exponential growth of the sport,” said Takahashi. “I don’t think any one of us in the first race knew global surf brands would be supporting the race and creating the kind of shapes we’re seeing today.” With growth comes innovation and it’s been exciting to see the channel, with its downwind conditions, be part of the development both in SUP and prone. M2O valued partners include: Kona Brewing Company, Surftech, Hawaii Tourism Authority, Dukes, Patagonia, Garmin, Waterman’s Applied Science, Futures, Blue Rush, Dr Danger, Futures, WND & WVS, Dot Vision, SUP Think Tank, Ocean Paddler, BARK, NSP, Kaenon. Surftech “The original board manufacturing company” was founded in 1989 in Santa Cruz, CA and was a pioneer in the world of sandwich composite construction for surf and paddle boards. The technology developed by Surftech provided an extremely high quality, consistent finished product that was lighter and more durable than anything than conventional manufacturing processes. Since the inception, Surftech has grown into a global community of surfers, paddlers shapers, designers, and craftsmen who are connected through their pursuit of perfection on the water and making the best products in the world for their customers. Surftech and their manufacturing partners prides themselves on their commitment to excellence in craftsmanship, strong environmental practices and support of the industry. Founded in 1997, M2O is an open-ocean endurance paddleboard challenge, featuring racers in both the prone and stand-up (SUP) divisions. Connecting the islands of Moloka’i and O’ahu, the 32-mile race crosses the Ka’iwi Channel, also known as the Moloka’i Channel. Men and women from more than 20 countries face challenging conditions as they navigate the fastest downwind route over one of the deepest channels in the world. 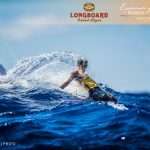 Top athletes typically complete the crossing in less than five hours, riding mid-channel waves that can crest more than 12 feet and carry paddlers hundreds of meters. 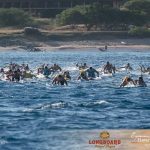 The race starts on Kaluakoi Beach on the north shore of Moloka’i and finishes in Maunalua Bay on the south shore of O’ahu. 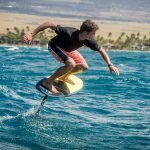 M2O has grown from a grassroots challenge for the legendary lifeguards and watermen of O’ahu to the premiere event in the sport of paddleboarding. The annual race is a deeply personal experience, challenging every paddler’s physical and mental toughness. Every finisher experiences an individual championship.